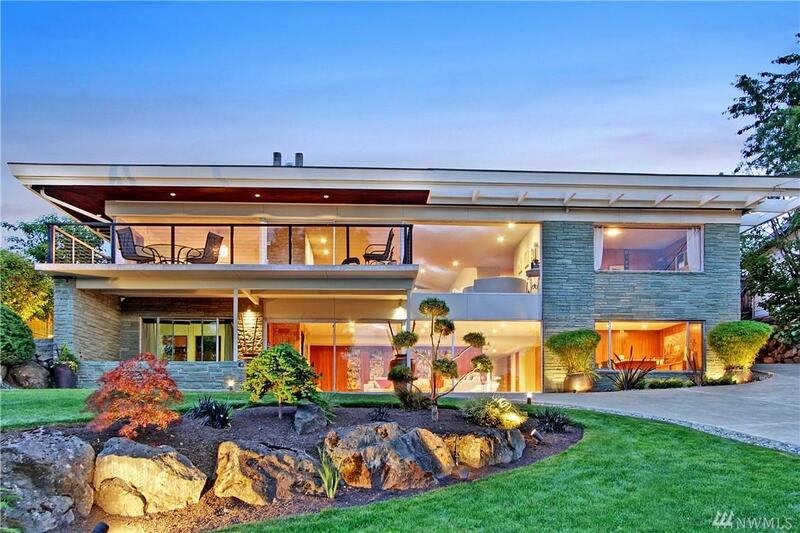 Privacy, comfort & style abound in an iconic mid-century home with modern upgrades! 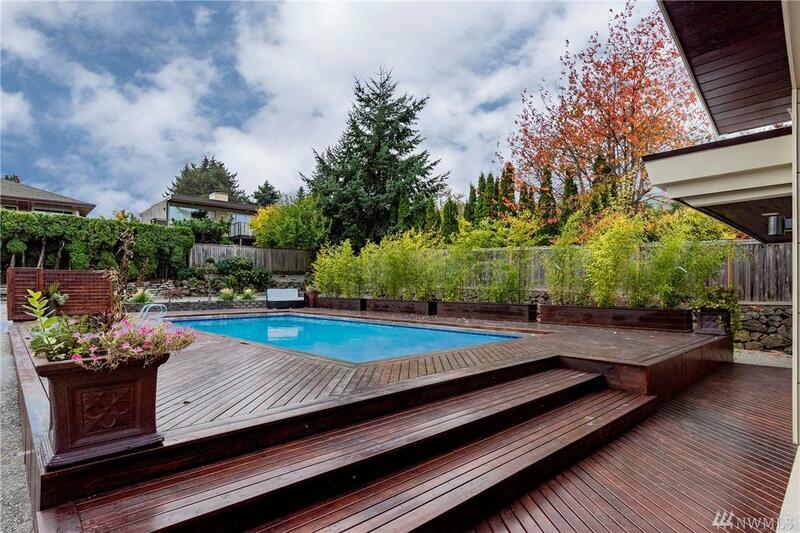 Enter through over-sized mahogany doors into a stunning open-concept floor plan illuminated w/natural lighting. 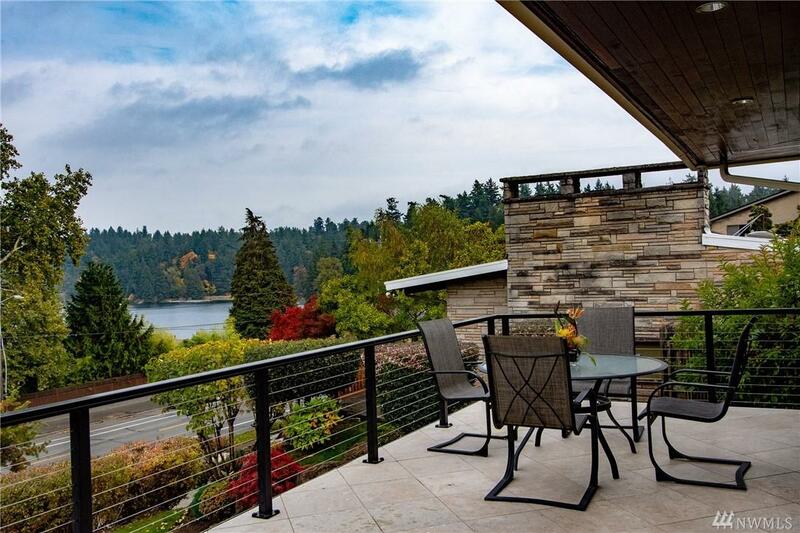 Embrace the perfect fusion of seamless in and outdoor living w/glass walls opening to a huge Lanai complete with lush fruit trees, grape vines & gorgeous olympic size heated pool. 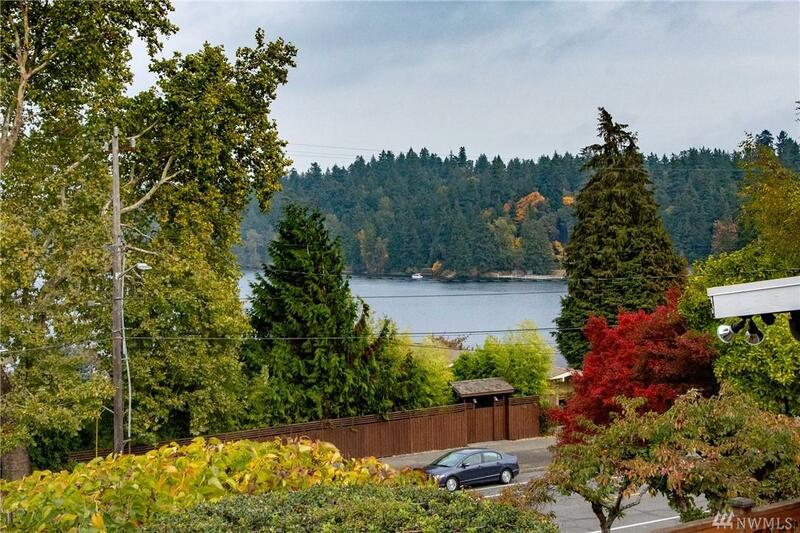 5 bd/3.5ba, office, rec rm, laundry rm, family room, bonus room and a 3 car garage included w/views of Lake Washington.